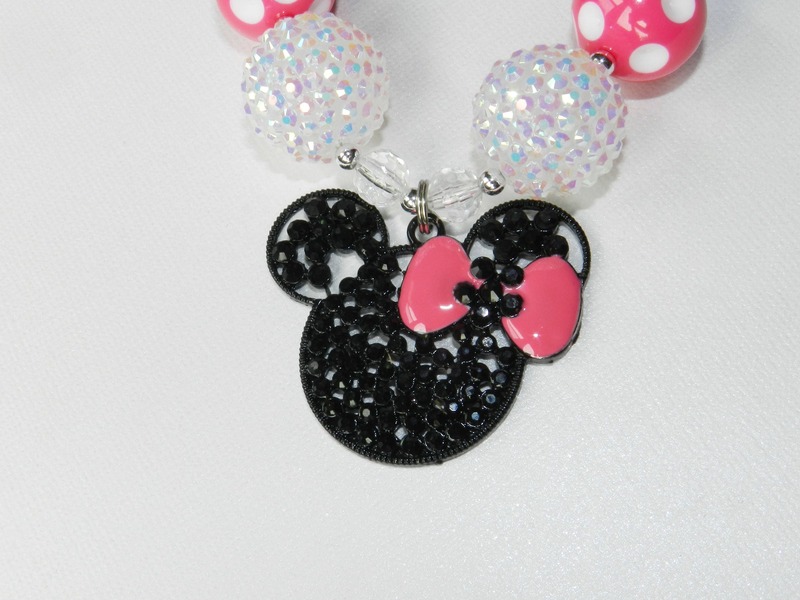 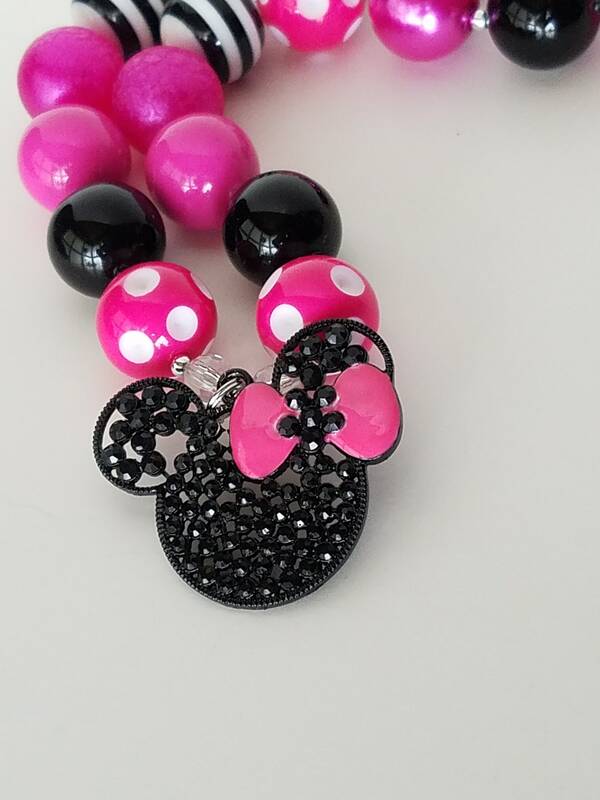 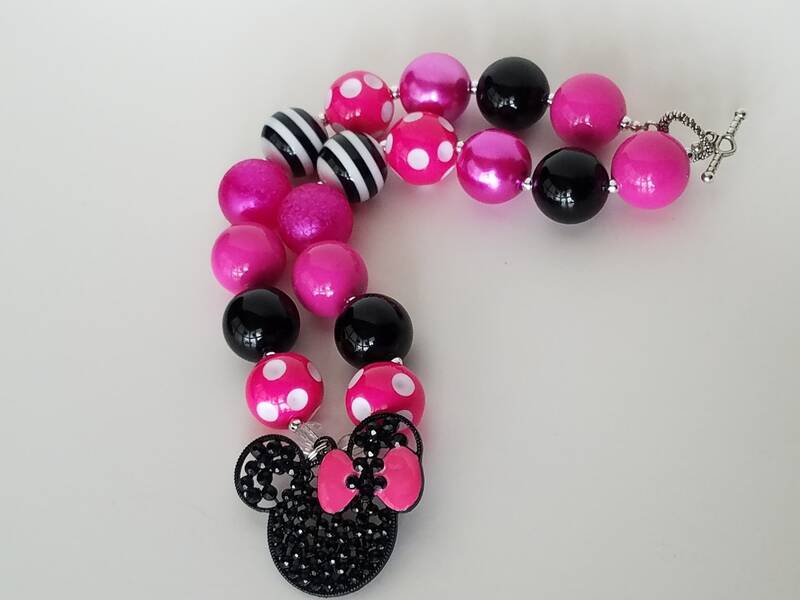 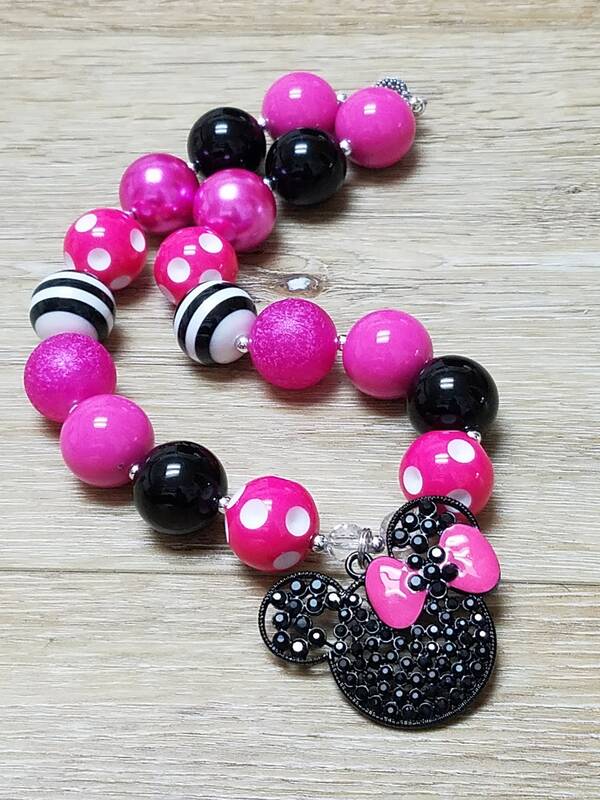 Handmade ~RTS~ Minnie Mouse inspired Chunky Necklace with a Rhinestone Minnie Mouse Pendant for Infant/Toddler/Girls. 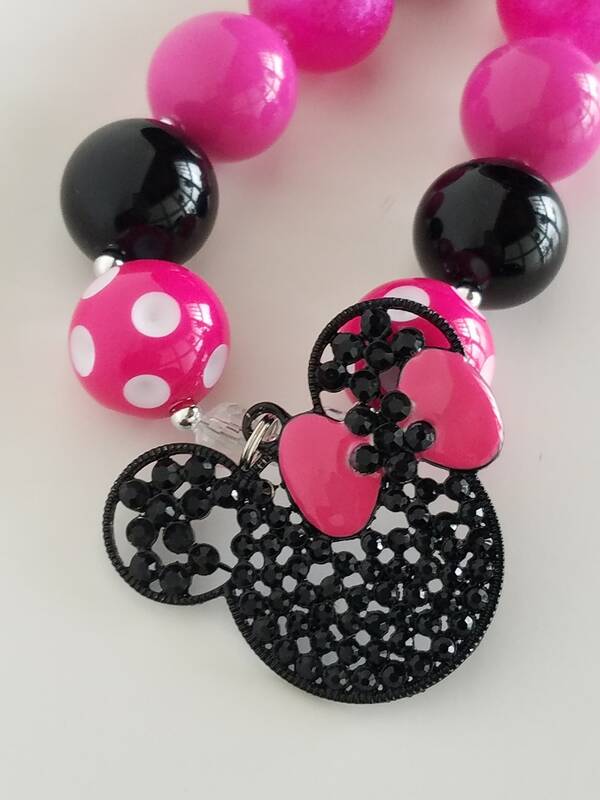 For Special Occasions, a Disney cruise, trip to Disney, birthdays, photo prop, dress-up, baby doll and me sets, weddings or anytime! 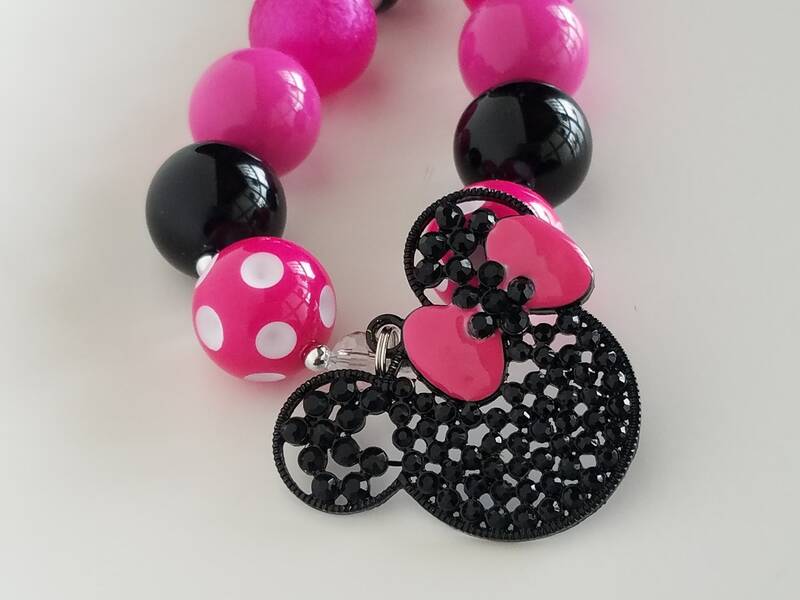 Chunky Bead (child size) Hot Pink, White and Black resin, acrylic, Rhinestone Pendant strung with toggle. 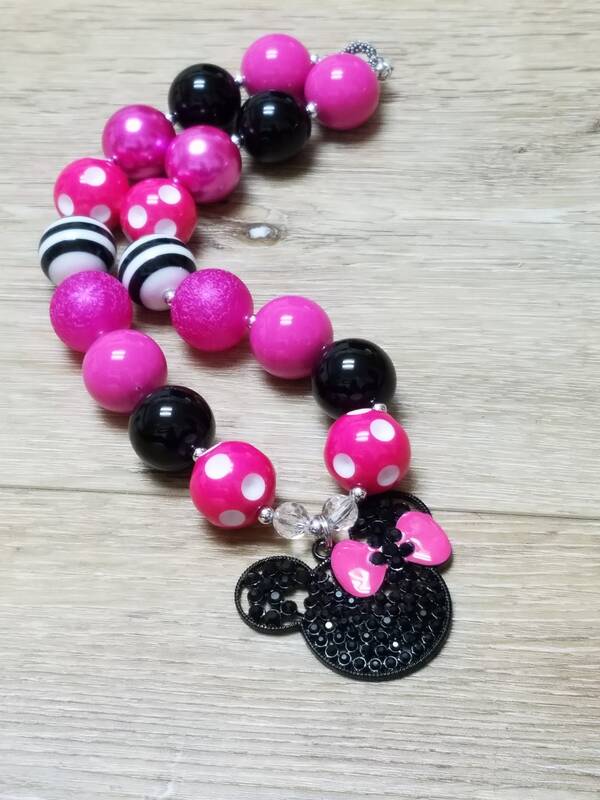 Necklace is approx 18 inches long. 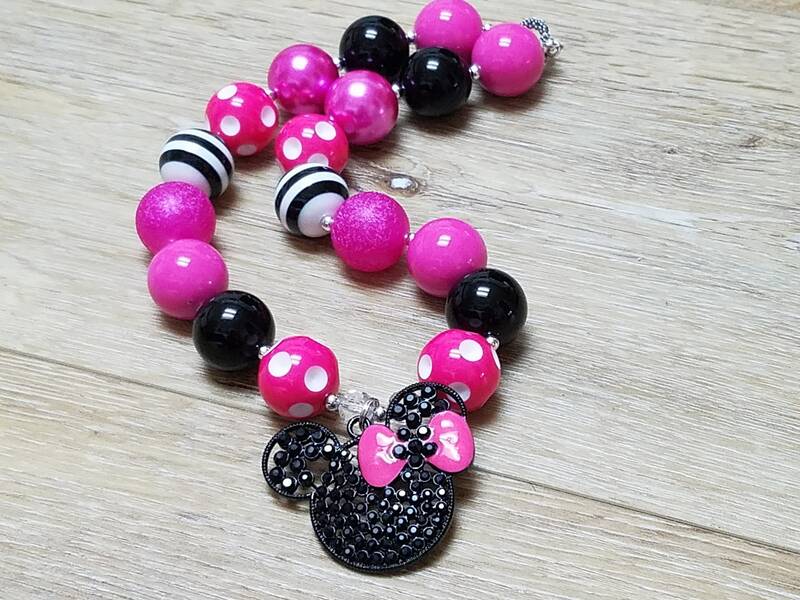 This is for the necklace only.